I haven’t been around APW much for the past few weeks, because some of you know, when I got back from The Compact Camp, my life fell apart. In early June when I was in Palm Springs for work, my dad fell and sustained a traumatic brain injury (TBI). All summer I acted as his primary caregiver, moving from ICU, to ICU, to hospital, to brain injury rehab, to Skilled Nursing Facility, to ER, to one blessed week at home, to ER, and then to a ill-fated and mismanaged three-week hospital stay. My dad was checked in for medication management for moods and hallucinations (common side effects after a TBI). Shortly after I came back from camp, he came home dying. After four days of sitting with him at his deathbed, my dad passed away peacefully, with my mom, my sister, and me at his side. Those of you who have been reading APW for a long time know that my dad was one of APW’s first and most dedicated readers, and he was my biggest fan. But beyond that, he was one of earliest cheerleaders for this community of women, and he believed from the bottom of his heart that what we were all doing here—at APW, and in this corner of the internet—was something special and important. APW would not have ever become what it was without him, and for that, among many other things, I am profoundly grateful. As I’ve been working through the beginning stages of my grief (along with the very real labor of planning a funeral, writing a eulogy, sitting shiva, and dealing with grieving children), I’ve been inching my way back into work. Because I work with a team of people who have been through major losses, they have been more aware of what my limitations are than I have been. When I came back to work a few days after the funeral, thinking I would be somewhat ready to go, they knew that I was pretty far from ready to be back. But because bad things in life never seem to come at once, last Friday our office was broken into, and a huge number of things were stolen. Thankfully they were insured, but being the victim of a burglary is always disturbing. We got through the day, and on Sunday David and I showed up with a new alarm system… only to discover that the same crew had broken into the office AGAIN, and spent hours going through everything that they’d missed the first go round. Having an office full of women targeted by a team of men carrying out a very personal-feeling burglary has reminded me (along with the news this week) that the many forms of violence practiced regularly against women in our culture serve a very real purpose. Trauma keeps us from producing our best work and bringing our bright lights to the world. Trauma is a very real, debilitating force, and getting through it is serious business. During this incredibly difficult period, I’ve tried to take the advice that everyone around me is offering (and the advice that I would give to anyone I cared about in the same position): Be Kind To Yourself. I’ve tried to be understanding with myself that I am working through pain, and that I’m not able to function in the way that I would in a normal world. So along those lines, while we deal with the huge amount of upset caused by our office break in (not to mention the loss of my dad), we’ve decided to take next week off from publishing, while we gather ourselves. BUT. We’re not leaving you hanging, because next week (or maybe a little earlier if it’s ready sooner) we’re announcing a very exciting Beta test of a community-based project that we’ve been working on. So we’ll see you there, and back here in a week. If you’ve got extra good vibes in you, please shoot them our way. P.S. As if all of this hasn’t been bad enough, our Associate Editor Mark (husband to The Compact Camp Witch, and erstwhile APW contributor Leah) has been in the middle of a terrifying, potentially life-threatening ongoing health episode. They have a Go Fund Me set up to support their family (BECAUSE THAT IS HOW WE EXPECT PEOPLE TO TAKE CARE OF THEMSELVES IN AMERICA, DON’T GET ME STARTED), so if you have a few dollars, or even some love and light to send their way, no amount is too small. Kickoff Latinx Heritage Month by learning about these 10 Latinx Icons They Won’t Teach You About in School. On my trip to Greece earlier this year, my friend and I lamented The Problem Sunscreen Poses for Dark Skin. Kelli is lightweight the best character on Insecure, and the woman who portrays her, Natasha Rothwell Is Just Getting Started. Jessica Valenti hit the nail on the head with this one: Kids Don’t Damage Women’s Careers — Men Do. Soon-Yi Previn speaks her piece in New York Magazine and everyone’s talking about it. I feel like I wrote this myself, probably because it sums up all the same feelings I had: The Great British Baking Show, on Netflix and without Mary Berry, is better than ever. Something that chemist Jareesa has been thinking about: The “natural” beauty industry is on the rise because we’re scared of chemicals. 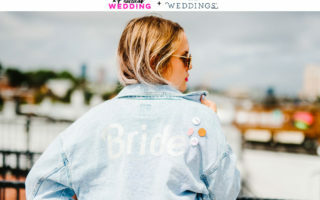 And from APW’s own Liz Moorhead: Brides are too afraid of becoming “bridezilla” to ask for what they want.